Fusion Intense Repair Shampoo gently cleanses hair and increases hair resilience against breakage. Formulated with silk amino acids, this professional shampoo for damaged hair helps to repair hair and leaves it clean and cared at the same time. 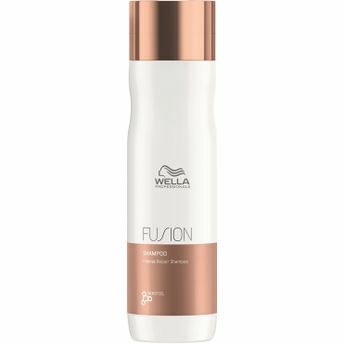 Wella Fusion Shampoo instantly helps to protect hair against breakage caused by combing and mechanical damage.